Order in next 3 hours and 57 minutes for despatch today. 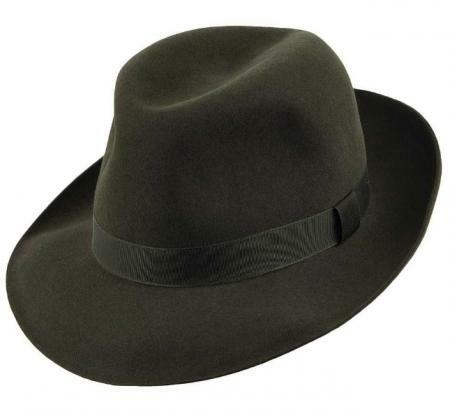 The ultimate traveller's accessory; the foldaway hat does as its name suggests - a quality super fine fur felt open crown unlined trilby designed with convenience and style in mind. Complete with a ribbon band and bow with fabric sweat band. Available in olive green with black hat band. Made with quality workmanship in Oxfordshire, the foldaway is perfect to wear, take off, roll and pop into your pocket.